Sono stati resi noti i nomi dei partecipanti alla conferenza sulla Computer Graphics presso VIEW CONFERENCE, in programma dal 19 al 23 ottobre a Torino. - Shannon Tindle, regista della Google Spotlight Story “On Ice,” vincitrice di un Primetime Emmy. 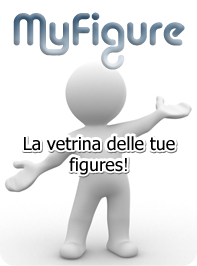 The VIEW conference will take place October 19 to 23 in Turin, Italy. The curated conference, which celebrates its 16th year, features talks, panel sessions, workshops, awards for outstanding work, and this year, four remarkable keynote speakers. Mark Osborne, a multiple award-winning director of a beloved animated feature film, recently directed the animated feature film version of a beloved novel. Osborne received Oscar nominations for directing the animated feature filmKung Fu Panda, and for the short animated film More. He also won an Annie award for directing Kung Fu Panda as well as many film festival awards. His latest film is The Little Prince, based on Antoine de Saint-Exupéry’s novel. After initial screenings, the animated story of a pilot who meets a little boy from another planet received a 100% approval rating from critics tallied on the “Rotten Tomatoes” website. At VIEW, Osborne will pilot attendees through the challenging creative process he and his team underwent to translate the classic French story into an animated feature. “We wanted to pay tribute to and honor the poetic and much beloved work and introduce new readers to the fantastic world that Saint-Exupéry created more than 70 years ago,” Osborne says. The Onyx Film production releases in Italy on December 3. Randy Thom, the Director of Sound at LucasFIlm’s Skywalker Sound, received Oscar awards for Best Achievement in Sound Editing for Disney/Pixar’s The Incredibles and for Best Sound for the live action feature film The Right Stuff.He has also received 14 Oscar nominations for sound and sound editing on live-action and animated films, and two BAFTA nominations. This year, Thom was supervising sound designer and supervising sound mixer for director Robert Zemeckis’s The Walk, supervising sound designer for director Guillermo del Toro’s Crimson Peak, and director Steve Martino’s animated film, The Peanuts Movie. In his keynote, titled “Teaching the Camera to Listen: From Apocalypse Now to The Peanuts Movie, ” Thom will use film clips to deconstruct the visual and sonic “nuts and bolts” that hold films together, and show how to use sound to build better movies in the future. Fox/Blue Sky’s The Peanuts Moviereleases in the US and Italy on November 6. Jorge R. Gutierrez received an Annie nomination this year for directing the animated feature film The Book of Life, and an Annie for the character design in that film. Previously, he received a Daytime Emmy Award for the Nickelodeon animated television series “El Tigre: The Adventures of Manny Rivera,” as well as many Annie nominations for the series. At VIEW, during his talk titled “Every Picture Tells a Story,” Gutierrez will take attendees on a wild, 25-year journey by presenting work from his Emmy Award-winning student film, his first animated web series for Sony, TV pilots for Disney, his Nickelodeon series, and his first feature film. In doing so, the Mexican animator, painter, writer, and director’s journey will inspire all attendees whether students or professionals. Shannon Tindle’s keynote address will lead directors, storytellers, and other VIEW attendees into a future that would have astonished Antoine de Saint-Exupéry. Tindle’s short sci-fi film “On Ice,” which premiered during Google’s Comic-Con panel, features a giant bear on ice skates. The 360-degree video designed for mobile devices allows people to explore all angles of the wacky story. It’s Google’s newest Spotlight Story and it uses a brand new SDK (software development kit). Before directing “On Ice,” Tindle was a character designer on three features, The Croods, Coraline, and Curious George and numerous television series and movies including Foster’s Home for Imaginary Friends, for which he received a Primetime Emmy. “We always try to bring an intriguing group of artists to Torino from all areas of the digital arts – 2D and 3D computer graphics, interactive media, digital cinema, animation, gaming, and visual effects,” Conference Director Gutierrez says. “Our speakers inspire each other and the attendees. I can promise you that in addition to the spectacular keynote speakers we’ve just announced, this year’s guest speakers will astound and delight everyone who attends. Look for that announcement soon." ** Scott Carroll: Carroll, whose talk is “From Comic Strip to Feature Film: The Peanuts Movie,” is a Supervising Animator at Blue Sky Studios currently working on “The Peanuts Movie.” He began his artistic career at Industrial Light and Magic, where he worked on such films as “Van Helsing” and “Star Wars: Episode III – Revenge of the Sith.” He later moved to New Jersey to work with Blue Sky Studios. ** Michael Kurinsky: Kurinsky for his VIEW presentation will examine: “Production Designing Hotel Transylvania 2.” He is Production Designer on Sony Pictures Animation’s upcoming family comedy “Hotel Transylvania 2.” Kurinsky served as the art director on the hit comedy “Cloudy With A Chance Of Meatballs, and first joined Sony Pictures Animation to work on the studio’s first release, “Open Season.” Prior to working at Sony, he was a background painter for Walt Disney Feature Animation working on such hits as “The Hunchback of Notre Dame,” “Hercules,” “Atlantis,” “Fantasia 2000,” “Home On The Range,” and “Beauty And The Beast: Special Edition.” NOTE: Attached Image of “Hotel Transylvania 2” © 2015 Sony Pictures Animation Inc. All Rights Reserved. ** Richard Starzak and Paul Kewley: A look at the Making of “Shaun The Sheep Movie” will be presented by BAFTA Award winner Richard Starzak, the Writer & Co-Director, and Paul Kewley, the Producer, of that recently released comedic, animated film from Lionsgate and Aardman Studios. ** Daniel Kramer: Kramer, a Visual Effects Supervisor at Sony Pictures Imageworks, is currently supervising work on Columbia Pictures’ “Ghostbusters,” directed by Paul Feig and scheduled for release in July 2016. ** Glenn Entis: Academy Award winner Glenn Entis is a computer animation and video game pioneer who co-founded Pacific Data Images in the early 1980’s, a computer animation studio which went on to become one of the most successful in the world. 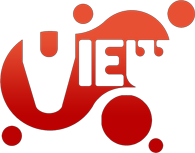 At the VIEW Conference, his talk “The Spirit and Stories of PDI” will share some of what made that studio great, and some of the lessons we can all take away from its story and people. In 1994, he left PDI to become CEO of Dreamworks Interactive (the videogame division of DreamWorks,) working closely with Steven Spielberg and creating the “Medal of Honor” franchise, among other hits. After Electronic Arts acquired DreamWorks Interactive in 2000, he took on a leadership role in guiding EA through several generations of videogame consoles, while also creating the World Wide Visualization Group, a videogame computer graphics research organization. ** Dale Herigstad: Four times Emmy Award Winner, and Winner of the inaugural Interactive Emmy Award, Dale is co-founder of SeeSpace, and is a thought leader on the future of interactive media. Among his credits: creative director of on-air design and branding for the three CBS Sports Winter Olympics broadcasts in the 1990s, among many of the major and iconic broadcast designs he has created throughout his career. Dale was also a part of the research team that developed the visionary gestural interfaces that first appeared in the film Minority Report. Dale will speak about "Spatial Interaction: Navigation Beyond the Screen". Motion graphics and computer graphics have always been about objects in a space. As the world moves "beyond the screen", interaction is more complex and requires greater levels of simplicity. He will show and discuss past and current experiments that explore how we can navigate these new spatial frontiers, and help his audience see the possibilities in this rapidly evolving field. Please note: VIEW Award deadline is September 15! 2,000 Euros First prize.